Geothermal is name given to naturally occuring heat (thermal) that is produced from the earth’s core (Geo, Greek for Earth). The thermal energy is located in the rock and fluid that fills in the various fractures in the earth’s crust. In many areas in North America, the heat gets to the surface in a diffused state. Geothermal energy is unique in that it is renewable and has a natural energy flow. Any business, industry or consumer interested in utilizing a renewable energy source, whether it be solar, hydroelectric, wind power and many others that are dependant on the sun. Applications for geothermal usage include heating of communities, buildings or homes, electricity generation via geothermal power plants, direct heating, greenhouse complexes, industrial use and variety of resort and spas. Geothermal heat pumps use 25% to 50% less energy than conventional heating or cooling systems. One ton (12,000 BTU/hr) of GHP capacity over a 20 year operating cycle avoids 21 metric tons of CO2 emissions. So a typical home system can avoid 80-100 metric tons of CO2 emissions. There is no combustion in a geothermal heat pump; therefore there is no chance of carbon-monoxide poisoning. By adding high-efficiency air cleaners with geothermal, these systems can improve inside air quality. Heat pumps are not limited by geography or geology. Geothermal heat pumps can be installed in most locations throughout British Columbia. 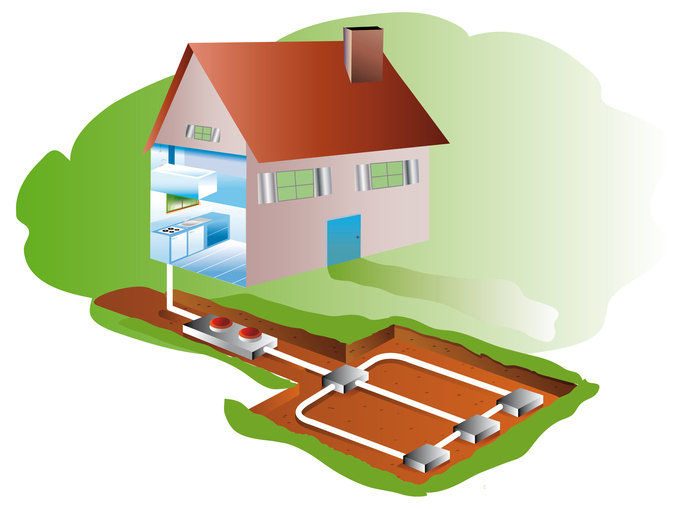 Geothermal heat pumps use the natural insulating properties of the earth from just a few feet underground to as much as several hundred feet deep, offering a unique and highly efficient renewable energy technology for heating and cooling. 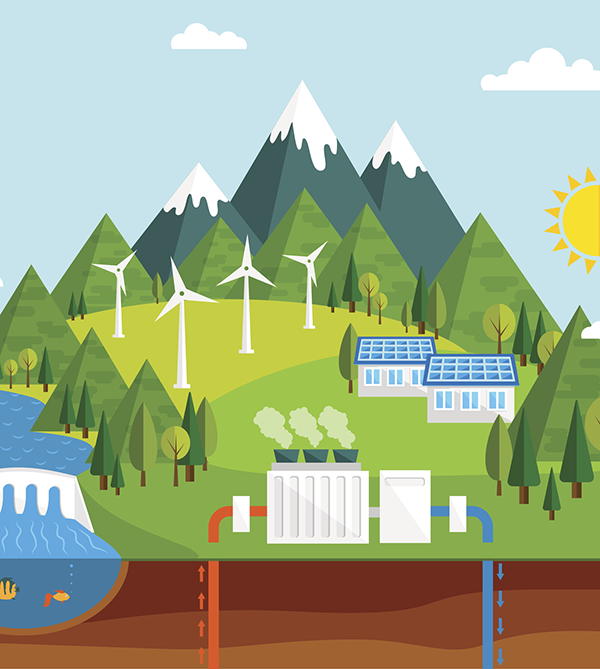 Main types of Geothermal geothermal energy systems include geothermal heat pumps, power plants that produce electricity, and direct use in heating systems.